We are amongst the leading Manufacturers, Exporters and Suppliers of this impeccable range of Products like Pipes & Tubes, Flanges, Pipe & Tube Fittings, Pipe Clamps & Other Hydraulic & Stainless Steel Products. 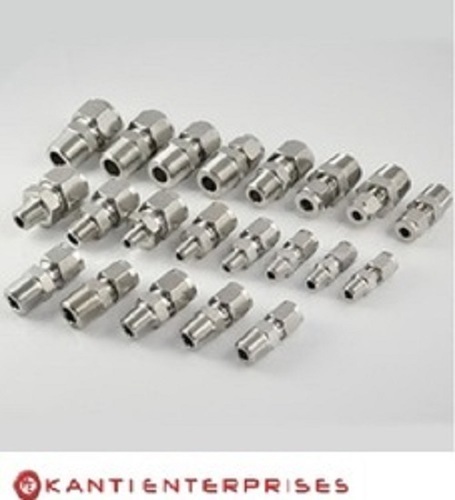 We are one of the leading organizations, engaged in manufacturing, exporting and supplying a wide range of Stainless Steel Furniture, Instrument Fittings, Stainless Steel Valves and Instrument Fitting. These products are fabricated in compliance with international quality standards using high grade factor inputs procured from reliable vendors of the market. Our offered range is highly admired for its high performance, rigid construction, corrosion resistance, accurate dimensions and durability. The entire range is available in various specifications and can be custom made as per the needs of the clients within predefined time frame.